What is a treat to you? There are two very special treats that the children love. Generally, every couple months they all get a treat. On their birthday, they are taken with Inday to go shopping and get a treat on the shopping day closest to their birthday. What are the treats? 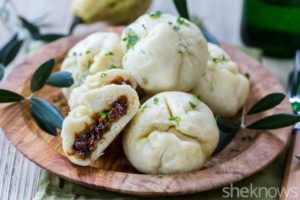 The first one is siopao. In some Asian circles, it is pronounced “si-pow” with a long “I” sound. In the area where the children’s home is located they pronounce it “shoe-pow”. 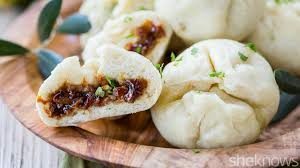 It is a steamed bun stuffed with various ingredients. Generally, some variety of meat, with vegetables or hardboiled egg. Often, they will have a dipping sauce. 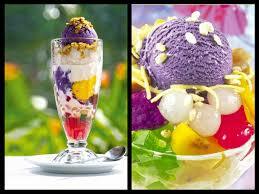 The other treat is called “halo halo”. For explanation, I will go to Wikipedia because I am at a loss for words. Haluhalo or Halo-halo (Tagalog: [haluˈhaloʔ], “mixed together”) is a popular Filipino dessert with mixtures of shaved ice and evaporated milk to which are added various ingredients, including boiled sweet beans, coconut, sago, gulaman (agar jelly), tubers and fruits. It is served in a tall glass or bowl. Ingredients can vary widely, but they usually include boiled sweetened kidney beans, sweetened chickpeas, sugar palm fruit (kaong), coconut sport (macapuno), and plantains sweetened with sugar, jackfruit (langkâ), gulaman, tapioca, nata de coco, sweet potato (kamote), cheese, pounded crushed young rice (pinipig). Most of the ingredients (fruits, beans, and other sweets) are first placed inside the tall glass, followed by the shaved ice. This is then sprinkled with sugar, and topped with either (or a combination of) leche flan, purple yam (ubeng pula), or ice cream. Evaporated milk is poured into the mixture upon serving. 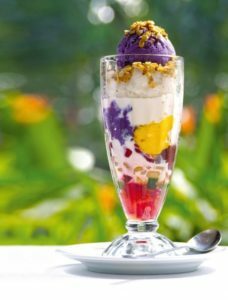 It is usually incorrectly spelled as “Halo-halo” (popularized by Chowking), but it is actually “Haluhalo” according to the Commission on the Filipino Language for it to not be confused with the Filipino word “halo-halo” meaning mixed up. To me, it looked like it it’s food and slightly sweet, it might be included. If it’s not sweet, just add more sugar. Except for the sugar, I think it would be healthier than a milk shake. I have seen them add spoon after spoon of sugar to the glass of halo halo until I wondered how they could eat it but it was their treat so I watched them enjoy themselves.